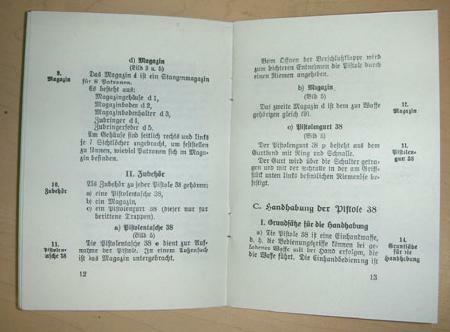 Copy of original printed in Berlin, 1940 (German Text). 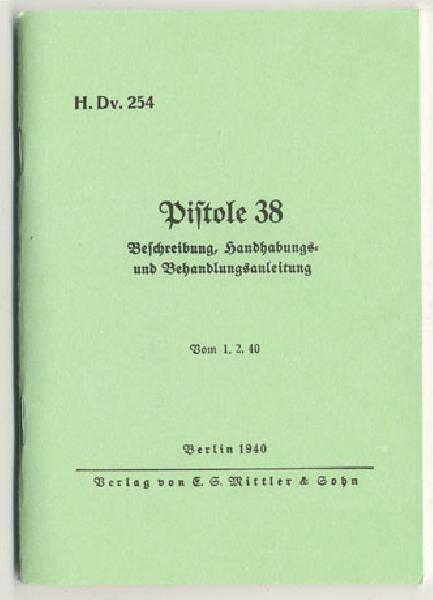 32 pages, with fold out illustration. 5.75 x 4.25 in size. Soft cover. Great accessory for display with your pistol.